With a refreshing OS, a comfortable design, great performance, nice screen and decent battery life, the WileyFox Swift is a great budget device – but regardless of the low price, it offers a great overall smartphone experience. 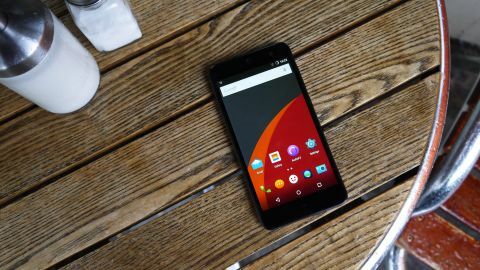 Update: Wileyfox entered the market with the Storm and the Swift making quite an impact. Now the company is back with the Wileyfox Spark, Spark+ and Spark X. But the Wileyfox Swift is still a good phone if you're looking for something on a budget, even though there's no price drop on the cards. When Google debuted its Nexus programme in 2010 the public and press were pleasantly surprised. Nexus devices offered what were, at the time, excellent specs at a less than premium price point, and Nexus phones have enjoyed considerable success. In the intervening years, however, others have caught up with and surpassed Google in offering a capable smartphone package for less cash. The OnePlus 3 and Moto G4, among others, have made the running, encouraging more and more manufacturers to dip their toes. That now includes Wileyfox. A British startup headed by the former European boss of Motorola, the firm intends to disrupt the low-to-mid-end space with two well-specced offerings, the Swift and the Storm. And with the two devices costing £129 and £199 respectively, they're definitely priced to move. But, as the likes of Motorola continue to consolidate their gains in this space, and with Huawei, among others, offering increasingly competitive packages at ever-lower price points, is there room for another player to join the game? It's no longer acceptable in 2016 to produce an ugly smartphone, no matter the cost. As with many other features that were once exclusive to the premium tier of smartphones, such as the Samsung Galaxy S6 or iPhone 6 Plus, good design is now expected to be found across the board. The Wileyfox Swift is neither beautiful or ugly. It's the same as all other devices of its ilk – a glass slab with a rear covered in textured plastic. With its (relatively) small 5-inch screen and weight of just 135g it's a comfortable device to use. Adopting the same line taken by Motorola, Wileyfox has added curves in palm-friendly places, and the back is a nice grippy matte plastic. The more I used the Swift, the more I liked it. The buttons on the Wileyfox Swift are laid out in a pattern that's become the norm for many smartphones. On the right-hand side of the device are the volume rocker and the power button, both of which feel slightly mushy. On the bottom there's a micro USB port for charging and connecting to a PC via the provided tangle-free cable. The bottom is also home to dual speaker grilles, of which only the right-hand one actually contains a driver. At the top is the 3.5mm headphone jack. The rear of the device is home to the 'style' elements of the design: a subtle, burnished WileyFox insignia; a small sunken Wileyfox logo; and a 13MP camera ringed with bronze-effect plastic, along with the dual LED flash. Above the 5-inch 720p screen are the call speaker and the 5MP selfie cam. All in all, the Swift makes a middling first impression. Lacking the immediate visual flair of a phone like the HTC One M9, 'premium' was almost certainly not a word that figured in the design brief. A smartphone lives and dies by its display – and the panel on the Wileyfox Swift is rather nice. The screen is protected by a sheet of Gorilla Glass 3, making it more resistant to breaking and scratching than the average screen. More importantly, it means the screen has an oleophobic coating, which isn't something that can be said of every device in this price bracket. This makes day to day use of the device a pleasantly tactile experience, and is good news for fans of gesture typing. With a resolution of 720p, and at five inches across, the Swift has a pixel density of 294ppi. Though this doesn't quite get into Retina territory, in everyday use the screen is excellent. Whether as a result of text smoothing or other fancy software tricks, reading on the device is as easy, and as pleasurable, as watching media, which is high praise indeed. As it's an IPS panel, viewing angles are excellent, as is colour accuracy. The Swift runs Cyanogen (of which more in a moment), so the colour temperature of the panel, and other settings, can be tweaked. The brightness and contrast of the LCD display can lack the 'pop' of an AMOLED panel, but the display on the Swift is perfectly adequate in both regards. It's pretty hard to find a 'bad' smartphone display these days, even at the budget end of the market; even so, the Swift's screen does it credit.